Stuck between the ideologies of Europe and Middle-East, Turkey is experiencing euphoria of practicing democracy which has been subject to hot debates. Society is inevitably being shaped by these discussions. As a reflection of society, how is democracy being reflected in language classrooms? To answer the question from teachers’ perspective, this qualitative research was conducted. The aim of this research is to understand Turkish EFL teachers’ perceptions and practices regarding democracy. Being the practitioners of Turkish education system and its philosophy, three English teachers participated in this study. The data came from semi-structured interviews and graphic elicitations. Data obtained from the participants were interpreted using “In-vivo” coding. The results of this study suggest that “equity” is one of the most highlighted aspects of democracy in their perception. However, participants seem to adopt “authoritative” teacher roles although they reported fostering student involvement in decision making. Lack of authority is seen as a burden to a democratic class. Experienced and novice teachers have different conceptions and practices of democracy. Experienced teacher is inclined to veil “authority” whereas novice teacher holds a militant view of democracy. Akyüz, Y. (2015). Türk Eğitim Tarihi. Ankara: Pegem Akademi. Almog, O., & Shechtman, Z. (2007). Teachers’ Democratic and Efficacy Beliefs and Styles of Coping with Behaivoral Problems of Pupils with Special Needs. European Journal of Special Needs Education, Vol.22 (2), 115-129. Bussler, D. (1994). The Democratic Class: Social Infrastructure Developing Social Architects. Teacher Education Quarterly,Vol.21,4,pp. 23-46. Bakioğlu, A. & Kurt, T. (2009). Öğretmenlerin Demokrasi Vatandaşlık ve Vatanseverlik Algılarının Nitel Olarak İncelenmesi. M.Ü. Atatürk Eğitim Fakültesi Eğitim Bilimleri Dergisi, Vol. 29, 19-39. Çankaya, D., Seçkin, O. (2004). Demokratik Değerlerin Benimsenmesi Açısından Öğretmen ve Öğretmen Adaylarının Görüş ve Tutumları. Uluslararası Demokrasi Eğitimi Sempozyumu, 20 - 21 Mayıs 2004 Bildiriler. Onsekiz Mart Üniversitesi Yayını. pp. 461 - 466. Carlson, J. (2010). Avoiding Traps in Member Checking. The Qualitative Report. Vol,15 (5), pp.1102-1113. Çavdar, T. (1995). Türkiye’nin Demokrasi Tarihi. Ankara: İmge Kitapevi. Dewey, J. (2001). Democracy and Education. USA: The Pennysylvania State University. Doğanay, A., Çuhadar, A., & Sarı, M. (2007). Öğretmen adaylarının siyasal katılımcılık düzeylerine çeşitli etmenlerin etkisinin demokratik vatandaşlık eğitimi bağlamında incelenmesi. Kuram ve Uygulamada Eğitim Yönetimi,50(50), 213-246. Dworkin, A.G., Saha, L.J., & Hill, A. N. (2003). Teacher Burnout and Perceptions of a Democratic School Environment. 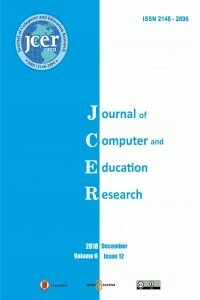 International Education Journal, Vol. 4 (2), 108-	120. Fadaee, E. (2011). Symbols, metaphors and similes in literature: A case study of “Animal	Farm”. Journal of English and Literature. Vol. 2 (2), 19-27. Falcone, D. (2009). Noam Chomsky on Democracy and Education in the 21st Century and Beyond. Gökçe, F. (2013). Democracy Education in the Parameters of Rights, Freedoms, Equality and Responsibilities. American International Journal of Contemporary Research, Vol.3,(10), 134-152. Guven, A.,& Mutluer, C. (2014). Cases of Metaphors Developed by University Students About the Notion of “Democracy”. Mevlana International Journal of Education. Vol,4(2), pp.73-89. Karahan,T.F., Mehmet E. Sarıdogan, M.E.,Özkamalı,E.&,Dicle, A.N. (2006). Democratic Attitude, Neurotic Tendencies and Self Actualizatıon in Prospective-Teachers. Eğitim Fakültesi Dergisi .Vol.30,149-158. Kesici, Ş. (2008). Teachers’ Opinions about Building a Democratic Classroom. Journal of Instructional Psychology, Vol. 35 (2). Kıncal, R. Y. & Işik, H. (2003). Demokratik eğitim ve demokratik değerler. Eğitim Araştırmaları, 3(11), 54- 58. Mayo, P. (2011). Gramscı, Freire ve Yetişkin Eğitimi: Dönüştürücü Eylem Fırsatları. Ütopya Yayınevi: Ankara. Holmes, S. (2006). András Sajó (ed. ), Militant Democracy. Eleven International Publishing, 2004. 262 pages. International Journal of Constitutional Law, 4(3), 586-591. Sarı, M., & Sadık, F. (2011). Democracy Perceptions of Teacher Candidates (Çukurova University Sample). Uluslararası Eğitin Programları ve Öğretim Çalışmaları Dergisi, Vol.1 (2), 67-82. Schmitt, R. (2005). Systematic metaphor analysis as a method of qualitative research. The Qualitative Report, 10 (2), 358-394. Schou, L.R. (2001). Democracy in Education. Studies in Philosophy and Education, Vol, 20, 317-329. Shechtman, Z. (2002). Validation of the Democratic Teacher Belief Scale. Assessment in Education: Principles, Policy& Practice, Vol. 9, pp. 363-377. Shulman, L. (1987). Knowledge-base and Teaching: Foundations of New Reform. Harvard Educational Review, Vol.57 (1), 1-22. Şişman, M. (2007). Eğitim Bilimine Giriş. Pegem Yayıncılık, Ankara. Topkaya, E.Z. & Yavuz, A. (2011). Democratic Values and Teacher Self-Efficacy Perceptions: A Case of Pre-service English Language Teachers in Turkey. Australian Journal of Teacher Education, Vol.36 (8), 31-48. UNESCO (2015). Curriculum Development and Review for Democratic Citizenship and Human Rights Education. France. Winfield, L.F. & Manning, J.B. (1992). Changing School Culture to Accommodate Student Difference in M. E. Dilworth (Ed.) Difference in Teacher Education: New Expectations, Jossey- Bass, USA.